Working one at a time, soak large rice paper rounds in warm water until soft. Lay on a flat work surface and place thin slices of Asian barbecued duck along the middle. 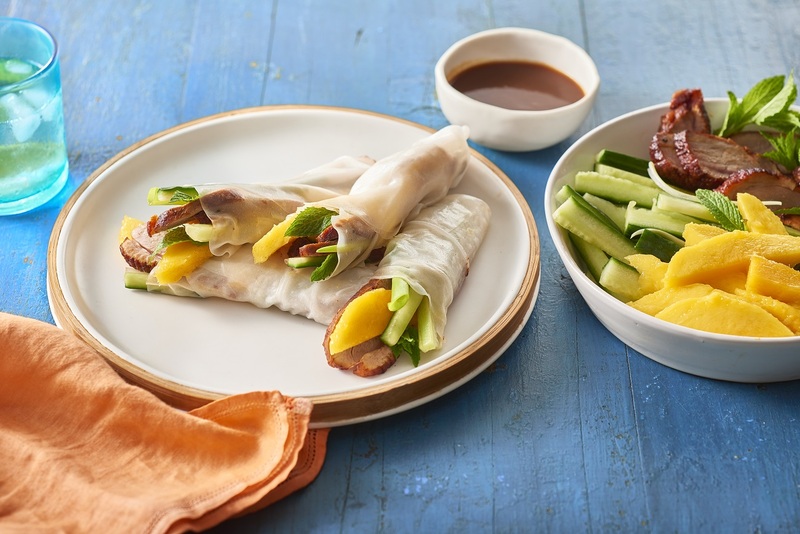 Top with slices of mango, strips of cucumber, green onion and mint leaves. Roll up, enclosing one end and serve with hoi sin sauce. Tip: Asian barbecued duck, also know as Chinese or Peking duck is available in Asian supermarkets, or packaged in most supermarkets.